Congratulations to our Eagle Excellence Award winners for our first semester of the school year. We drew names of one boy and one girl from a collection of all the students that received an Eagle Excellence Award throughout the first semester of school. 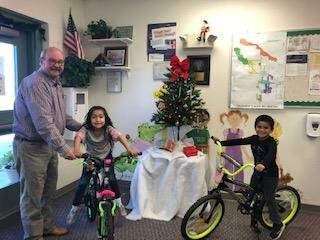 The winners received a new bike that was donated by Wal-mart.